Cloudy skies and lots of guests have kept me away from my telescope. Lewis Rutherfurd was a pioneering American astrophotographer who deserves to be much better known. The only sources of information I've been able to find about him are a New York Times obituary and memoir from the National Academy of Sciences (he was one of the founders). He was not the first to attempt to photograph the Moon, but the first to produce very high quality lunar images. He was also a pioneer in the spectroscopy of stars and solar system objects. Beyond astronomy he lived an interesting and accomplished life and was beloved by friends and family. Perhaps the lack of a good popular biography is the reason that he isn't much better known. I'll leave those who are interested to learn more about him from the original documents linked to above. 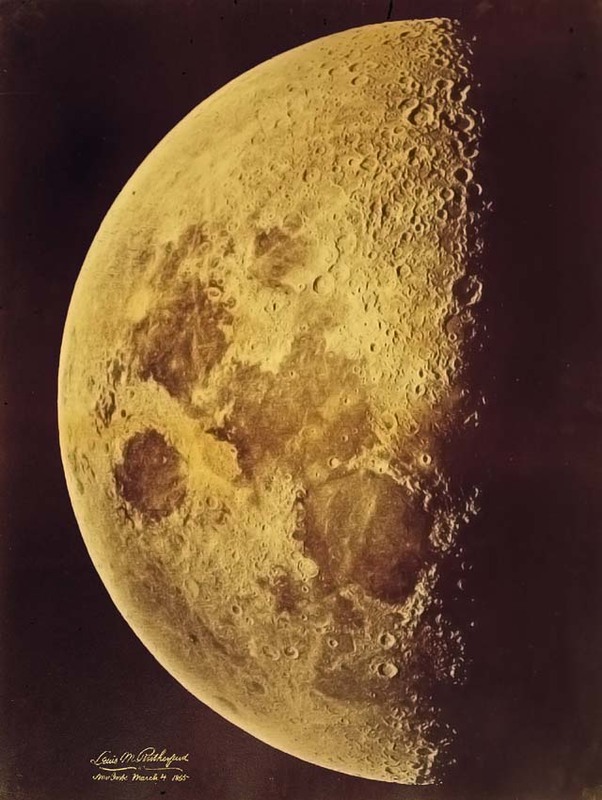 Here is a sample of his lunar photography - quite impressive for the mid 19th century. Public domain image from Wikimedia Commons. 1865 original in the George Eastman House, Rochester, New York.